The government has issued a draft notification amending the Central Motor Vehicles Rules to disallow registration of all Bharat Stage IV (BS-IV)-compliant petrol and diesel vehicles after June 30, 2020. The government had already announced last year that manufacture of BS-IV vehicles will have to cease by the deadline of April 1, 2020. Beyond this date, the country will leap directly to BS-VI emission norms, which are the Indian equivalent of Euro-VI international emission standards. The move is targeted at curbing the increasing air pollution in major cities across India. The ministry of road transport and highways has issued the draft notification, calling the amended rules the Central Motor Vehicles (Amendment) Rules, 2017. The government has invited objections, suggestions on the notification from affected parties including manufacturers and the public, until December 20. The notification said: "New motor vehicles conforming to Emission Standard Bharat Stage-IV, manufactured before April 1, 2020, shall not be registered after June 30, 2020." 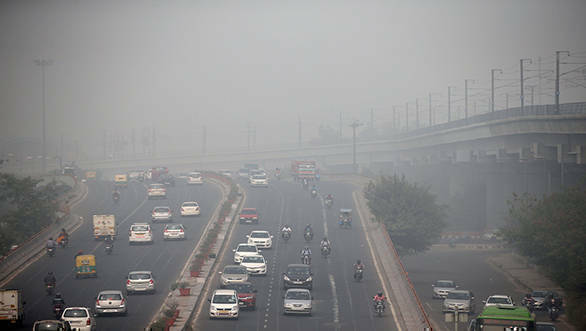 In 2016, amid intense debates over the rising level of air pollution, an inter-ministerial meeting decided was taken to advance the date for BS-VI compliance by four years, and skipping the BS-V standard altogether. The Delhi government meanwhile has already announced that BS-VI quality petrol and diesel will be supplied from all fuel stations in the National Capital Territory (NCT) in 2018, two years ahead of the 2020 deadline following the recent smog situation there. However, manufacturers are not scampering to put out BS-VI ready vehicles in the next year as the newer quality fuel can also be used in BS-IV engines.